Dubai houses some of the most marvellous human-made structures in the world including the Burj Khalifa, the Palm Islands, and the Cayan Tower. 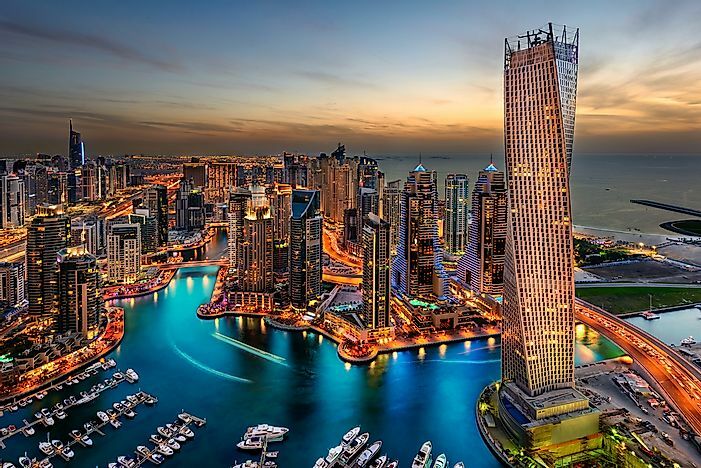 Dubai is home to one of the world's most iconic skylines. Dubai is known for its modern architecture and impressive skyline. 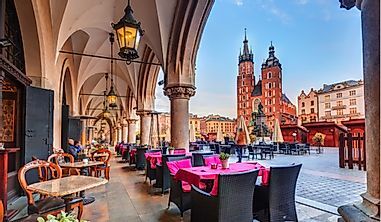 In fact, it is home to a number of architectural wonders including the tallest hotel, the tallest building, and the largest shopping mall in the world. This article takes a closer look at some of the architectural wonders of Dubai. House on the Palm Islands, Dubai. 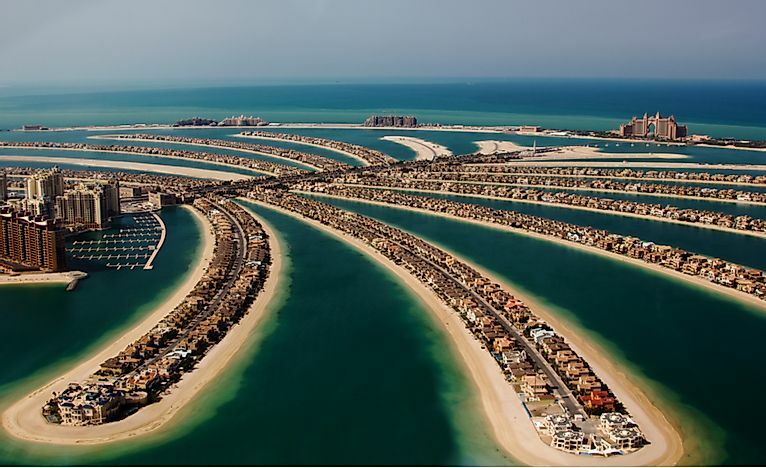 The Palm Islands are located in the Persian Gulf, off the coast of the United Arab Emirates. These artificial islands, some of the largest in the world, were constructed in the shape of palm trees. This unique shape added over 320 miles of beachfront property to the pool of real estate in Dubai. The three islands are known as Palm Deira, Palm Jumeirah, and Palm Jebel Ali. Construction began in 2001. As of 2014, Palm Jumeirah was the only completed island. Once finished, these islands will house luxury hotels, amusement parks, private homes, and marinas. Structures inside Dubai Miracle Garden. 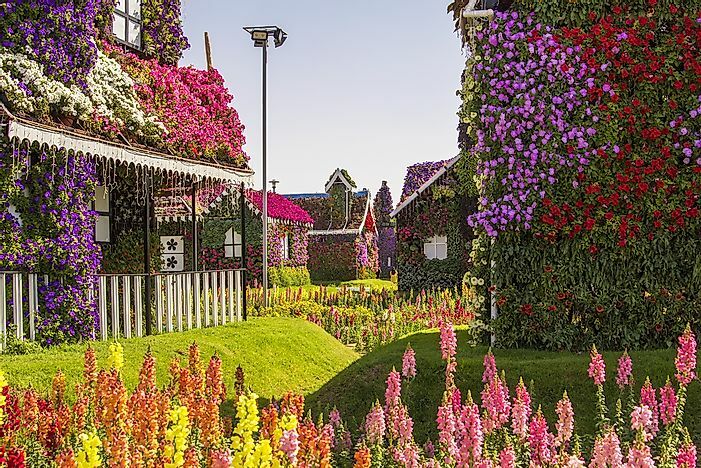 The Dubai Miracle Garden, opened in 2013, is the largest natural flower garden in the world with over 109 million flowers growing here. 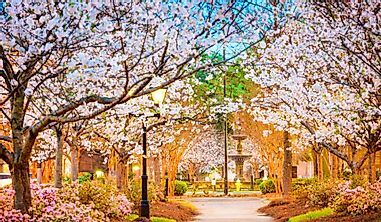 This attraction stretches across 780,000 square miles and includes an aromatic garden, peacocks, and a floral clock. In 2015, the Butterfly Garden was opened within the Miracle Garden. 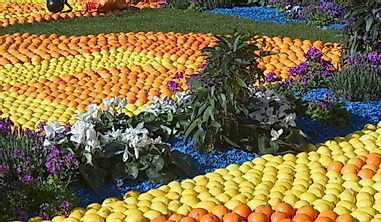 It is the largest in the world and the first indoor butterfly garden in the region. Over 15,000 butterflies can be seen here including approximately 26 species. Visitors may enjoy this park between October and April as it is closed for maintenance from June to September. In addition to the flowers and butterflies, Miracle Gardens is also home to a number of retail shops and mosques. 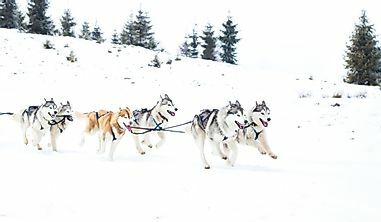 Dubai offers tourists the unique experience of skiing indoors. The largest indoor ski resort in the world is located in Dubai. Ski Dubai was opened in 2005 and covers an area of 242,187 square feet. Within this ski resort is a nearly 279-foot tall mountain, which has 5 ski slopes running down its sides, including the first indoor black diamond run. There are 2 tow bars and 1 4-person chairlift to take skiers to the top. A 32,291-square foot snow park is located beside the mountain, where visitors can enjoy sledding, snowballs, and an ice cave. Additionally, the park releases penguins during certain times throughout the day, giving visitors a chance to interact with and watch these birds. Ski gear and appropriate clothing are included in the entrance price. 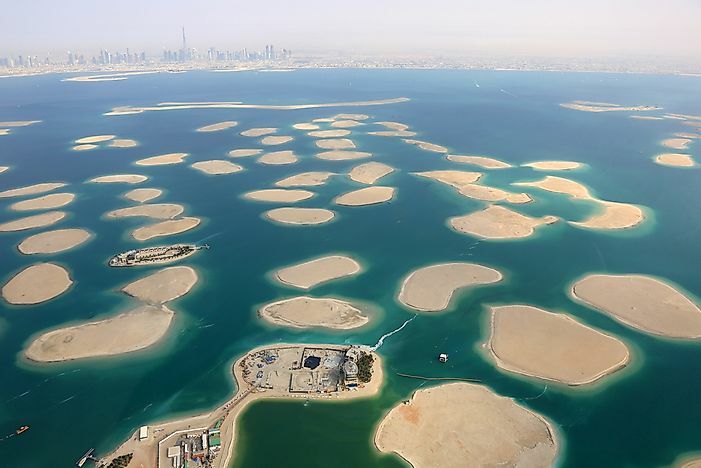 All but one of the World Islands in Dubai are not currently occupied. The World Islands is a group of 300 small artificial islands that have been created in the form of the world map. This archipelago is located approximately 2.5 miles off the coast of Dubai. The project began in 2003, but was put on hold during the 2008 global financial crisis. During that time, 60% of the islands were sold to private investors. However, development continues to be stalled. As of 2012, the only developed island is Lebanon, which is currently used for private events. The Atlantis Hotel in Dubai. 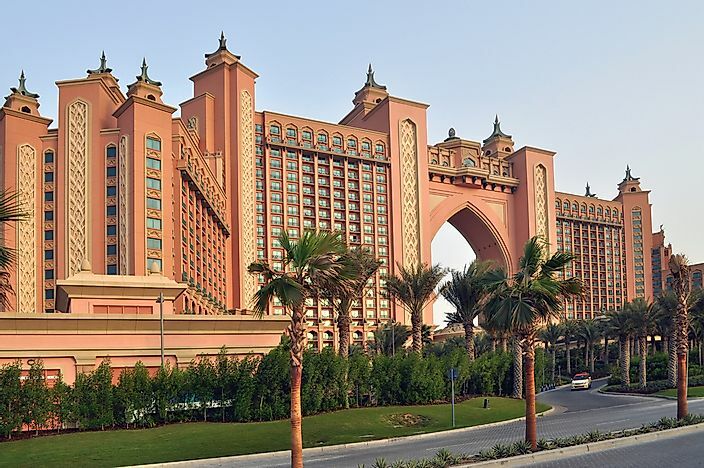 Atlantis Hotel is located on Palm Jumeirah of the Palm Islands. This luxury hotel was opened in 2008 and has 1,539 guest rooms. Each room has a nautical theme inspired by the legend of Atlantis, a fictional island written about by Plato. At the official opening, the hotel launched a fireworks display that was 3.1 miles long and displayed light images on the outside of the hotel. 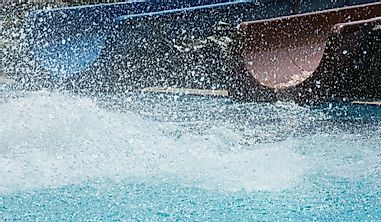 Guests staying here can also visit the Aquaventure Water Park on-site and Nasimi Beach, which hosts concerts and other entertainment events. 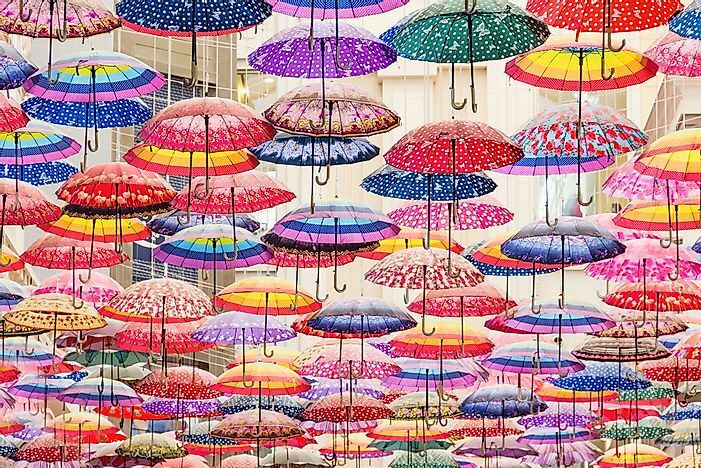 Umbrellas at the Mall of the World, Dubai. The Mall of the World is an ongoing project that was announced in November of 2012. The plan includes 48 million square feet, of which 8 million square feet is dedicated to retail shopping. Once finished, this shopping center will also contain the largest indoor game park in the world. Other attractions here will include several theaters, 20,000 hotel rooms, facilities for medical tourism, and cultural events and programs. The Mall of the World will be located on Sheikh Mohammed bin Zayed Road and is expecting to receive around 180 million visitors every year. 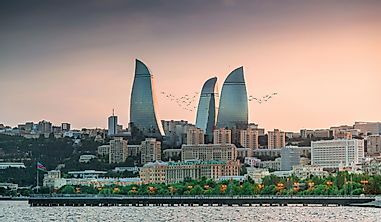 The Cayan Tower (on left). Cayan Tower stands at 1,004 feet and encompasses 74 floors. This building has a unique design in that it makes a complete 90° turn and was the tallest building in the world with this feature when it first opened in 2013. Since opening, the Shanghai Tower has bumped its ranking. 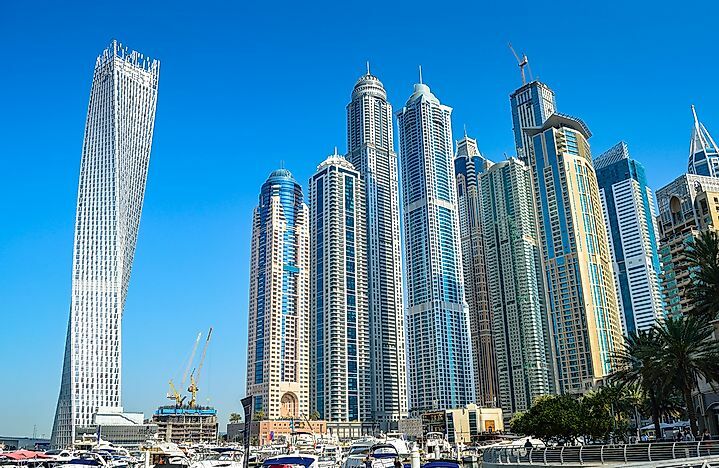 Construction on this residential building began in 2006 and was delayed for a year and a half after the Dubai Marina breached, causing flooding in 2007. Residents enjoy minimal sun exposure due to the use of passive solar shading technique, which include titanium panels on concrete columns and screen panels. The exterior of the Dubai Mall. The Dubai Mall is currently the largest mall in the world, covering a total area of 5.4 million square feet. It was opened on May 8, 2008 and by 2011 was designated as the most visited building in the world, receiving around 54 million visitors annually. This mall is home to over 1200 stores, a 250-room hotel, 120 restaurants, and 22 cinema screens. 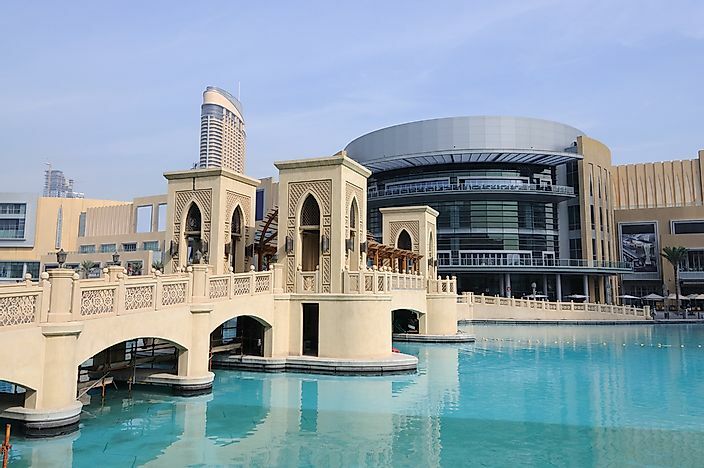 Additionally, visitors to the Dubai Mall may visit the Dubai Aquarium & Underwater Zoo, which is home to over 300 marine species, and the SEGA Republic, which is an indoor theme park inspired by Sonic the Hedgehog. 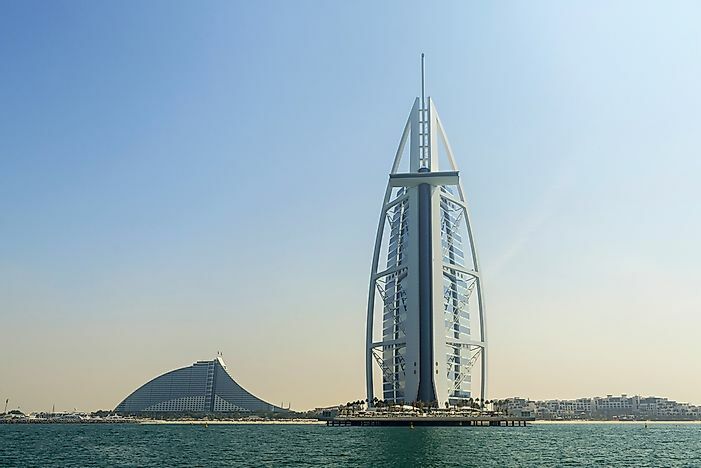 The Burj al Arab is the 3rd tallest hotel in the world, standing at a height of 1,053 feet. Its unique design, in the shape of a ship sail, means that 39% of the height is unoccupiable. This hotel is located on an artificial island, 920 feet from the Jumeirah Beach. Hotel guests and visitors can access the entrance via a curved bridge to the mainland. The Burj al Arab is home to 202 hotel rooms, the smallest of which is 1,820 square feet in area. The Royal Suite is one of the most expensive hotel rooms in the world at $24,000 per night. The Burj Khalifa towers over the skyline of Dubai. 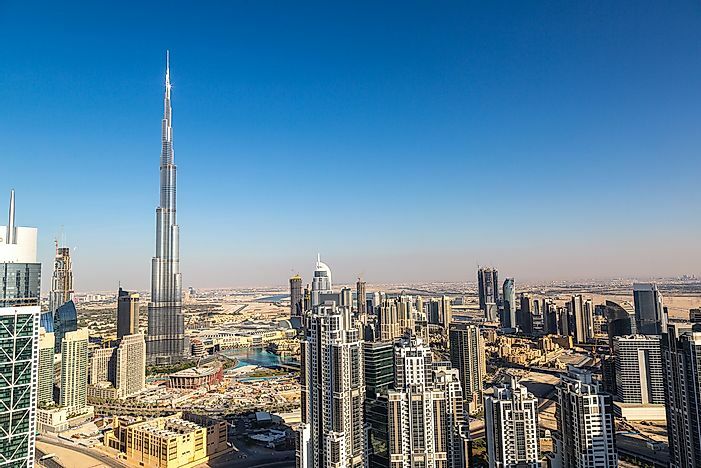 The Burj Khalifa has been the tallest structure in the world since 2008. It has a height of 2,717 feet and an antennae that adds an additional 5 feet. Construction of this mixed-use building began in 2005 and was completed in 2010. Its design is inspired by the Great Mosque of Samarra and incorporates a number of other Islamic architectural features. The Burj Khalifa has a y-shaped floor space and exterior and contains 8 escalators and 57 elevators. Additionally, visitors may visit the observation deck on the 124th floor, which looks down on the Dubai Fountain below.